This is a bochet brewed for the first round of my Bochet Solera Project. 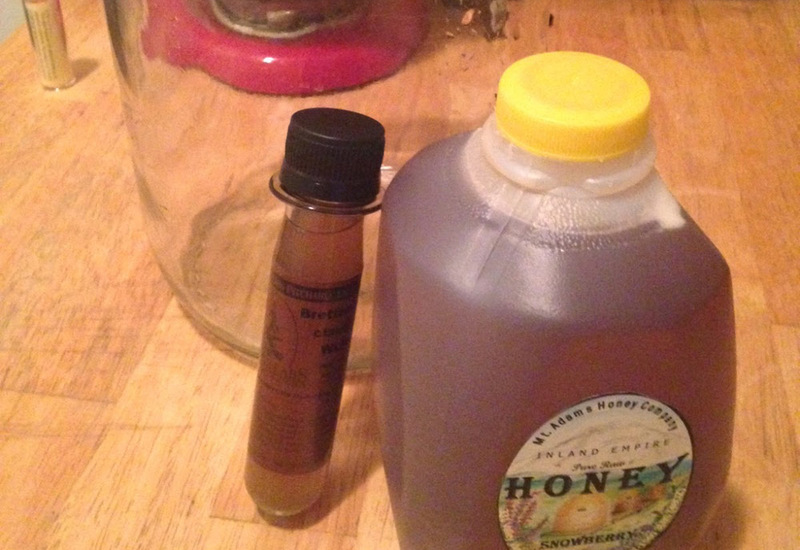 I Caramelized snowberry honey and pitched a full vial of White Labs Brettanomyces Claussenii (Brett C.). I caramelized the honey and cooled it down with cold water. After sanitizing everything, I pitched the vial into 1 gallon of must. As this is part of the Solera Project it will age a total of 18 Months before I bottle 1/2 of the carboy, and top up from younger generations. No airlock activity (Brett does produce CO2, so it is something to look for). 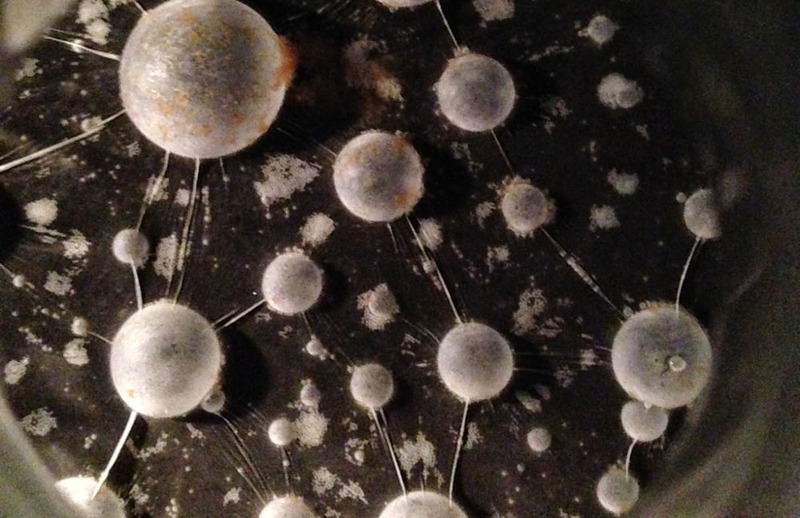 However, there was a full pellicle already formed. I’m sure this relates to the air that got incorporated to the must when I poured it into the carboy. This may or may not leave a slight acetic note later down the road. No airlock activity, but the pellicle bubbles doubled in size, so their is either fermentation or the must is just off gassing. Gravity check 1.074, so no fermentation. Very slow airlock activity, Brett is finally catching up to all those sugars. It should be picking up speed, and I’ll take another gravity reading in a few days. Very slow airlock activity still. Earlier (between days 5 and now), I had measured the gravity at 1.080. This means there was some undissolved honey that didn’t get read with the OG reading. This is really high for what I wanted so I ended up adding a bit of water down to 1.074, so how much already fermented I don’t know. But it couldn’t have started much higher than the 1.080. Since then it has only fermented down to 1.070. At this time I also added oak chips (Med toast French) for both brett growth and recipe contribution. Tonight I’ll take another reading, as well as pitch Orval dregs in a couple days (which contains Brett B and a Belgian yeast strain) if needed. Getting this ferment going is at the top of my priority list, even though it means losing the 100% Brettanomyces tag. Slow (but up from very slow) airlock activity. I also added the Orval Dregs for a bonus. Maybe it didn’t need it, but I love the Orval character and having some of that come through would be a big win. Gravity reading tonight. Took a gravity reading and got 1.068, so we are dropping, although very slowly. Just going to have to let it do it’s thing. I’ll take a gravity reading much later so I don’t go insane. Took a gravity reading and got 1.060, so we are continuing the slow drop. Took a gravity reading and got 1.031. An acceptable FG for bochets in my opinion is 1.025 or lower. The brett should be able to finish this up. 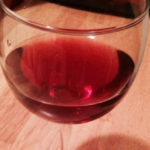 This large drop is attributed to an addition of regular wine yeast. I’ll need to keep the gravity lower (around 1.060) for my next all brett mead. Tasting the hydrometer sample led to pleasant results. 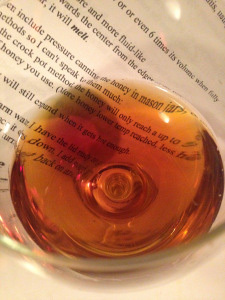 A lot of vanilla notes from the oak and caramelization level on the honey. There is a hint of brettiness in the back that helps with a perceived dryness. Hopefully the brett helps finish the attenuation on this mead. Took a gravity reading and it’s down to 1.020 now. If the brett continues to work, that will be fantastic, if not it’s at a very tolerable point right now. Took a sample for tasting. 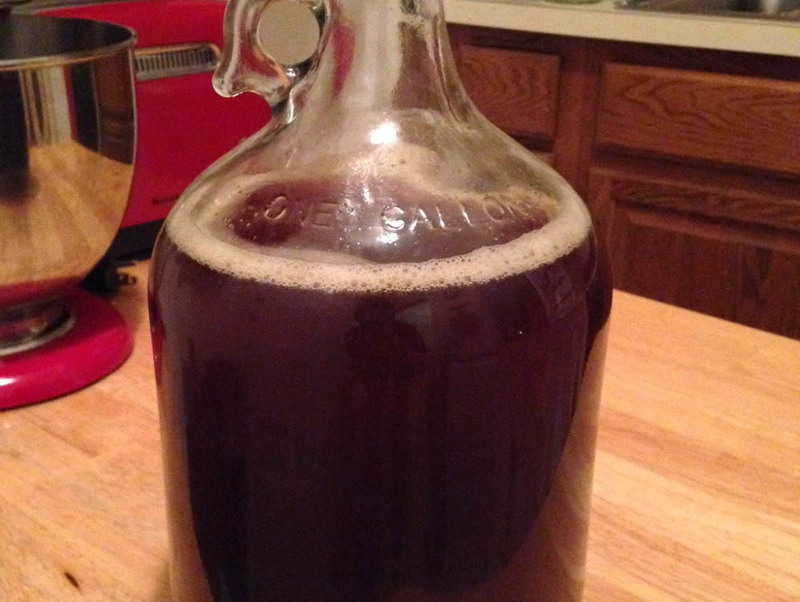 It has a really smooth caramel flavor which I hadn’t achieved in a bochet yet. It has very little if any funk, good body, and despite all it’s issues upfront appears to have had a very clean fermentation. Now I just need to wait for the other solera bochet project batches to catch up before bottling and blending. 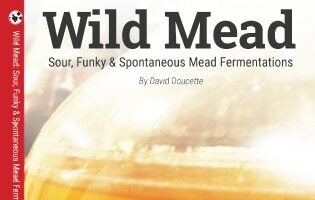 Took a sample to talk about bochets and solera aging on the Mead Makr Podcast. I’m still roughly 6 months from bottling the first round of the Solera Bochet Project. 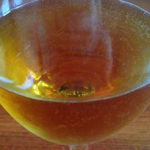 The color is very nice and there are a lot of complex flavors in the mead. It starts off with a tart roasted marshmallow note, moves to a hazelnut type flavor. Next is a brief dose of caramel before fading back into the original tartness. The aroma is a penetrating roasted marshmallow and burnt sugar. You only need to be in the vicinity to smell it. Not many beverages compare to a bochet. They stand uniquely on their own. This is finally bottled. I bottled 2/3 of the gallon and racked some more bochet on top of it for the continuation of the bochet solera project. The second bochet is more tart than caramel-like, so we’ll see how it goes as it ages.